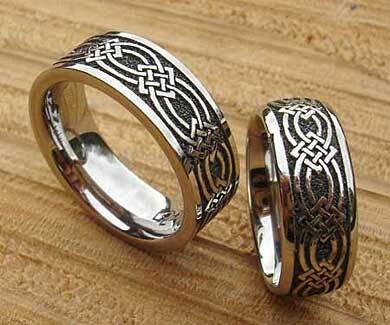 Men's Titanium Celtic Wedding Ring : LOVE2HAVE in the UK! 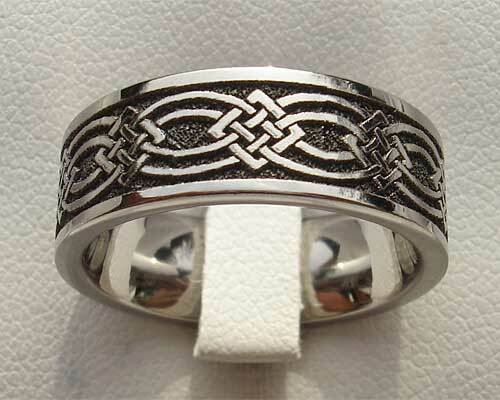 An intricate, laser engraved, flat profile men's titanium Celtic wedding ring that features a Celtic knot design around its entire outer circumference. This ring makes a great contemporary Celtic ring for men that is built to last. 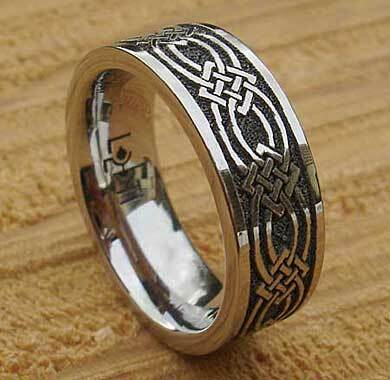 An excellent choice for those looking for an alternative to the more traditional gold Celtic rings for men.